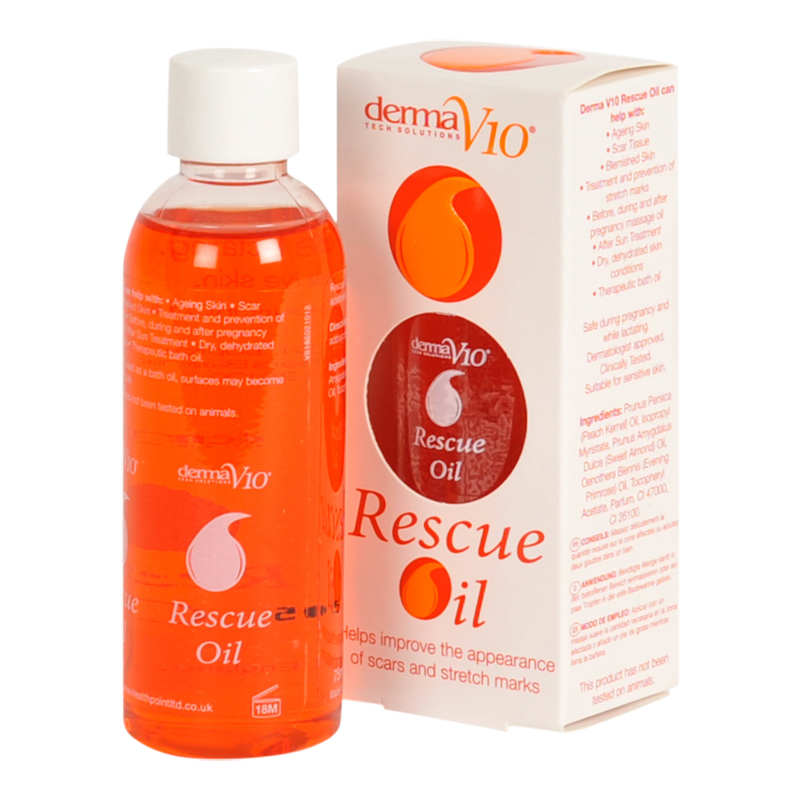 Visibly improve the appearance of scars and stretch marks with this 40ml bottle of Rescue Oil from DermaV10. Rescue Oil is enriched with a natural blend of peaches, almond oil and primrose oil to hydrate and nourish the skin. Derma V10 Rescue Oil can be used to reduce the skin's signs of aging, and minimise the appearance of scar tissue and blemishes. It can also be used as a caring massage oil, as an After Sun treatment, or to deeply moisturise dry and dehydrated skin. Rescue Oil is safe to use during pregnancy and whilst breast feeding, so can be used to treat and prevent stretch marks, before, during and after pregnancy. Gently massage the oil onto the affected area, or, for a truly luxurious all round treatment, add a couple of drops to a running bath.